The partnership lets virtual tour creators quickly capture a property in 360 degrees with the Insta360 ONE X camera, and then use Matterport’s AI-powered software to create an interactive 3D floor plan and walkthrough, complete with depth and square footage data. The upshot is that pro-quality virtual tours can now be created by anyone, using Insta360’s easy-to-use flagship camera. The new partnership comes as part of Insta360’s increasing focus on the growing enterprise market for 360 cameras, which includes the launch of a new page highlighting 360 enterprise applications. 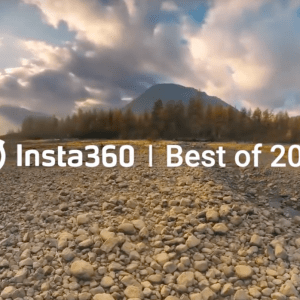 Insta360 also announced upcoming integrations with a range of other popular virtual tour platforms, including iStaging, immoviewer, Cupix, VPiX and Kuula. 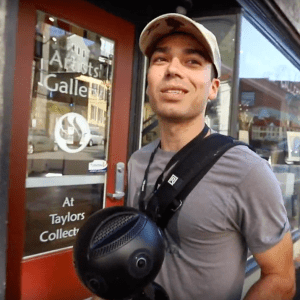 Shabun said that Insta360’s goal is to become the premiere camera choice for virtual tour creators in the real estate, hospitality and tourism industries. The Matterport integration is currently in beta, with public release planned for March. Insta360 ONE X users can request access to the beta today at matterport.com/register. 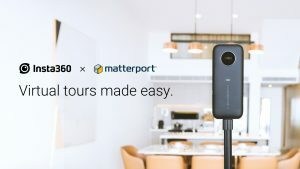 Also in March, Matterport will introduce a new $9.99-per-month subscription tier for their virtual tour software, designed to easily onboard ONE X users new to the platform. The Insta360 ONE X, priced at $399.95, is available today at Insta360.com, Apple.com, the Apple Store, Amazon and other select retailers worldwide. Once every room has been covered, creators can upload their photos to Matterport’s cloud-based virtual tour platform, and their content will be automatically converted into an interactive 3D space, including depth and area measurements. The resulting virtual tour can be easily shared or added to a real estate listing.